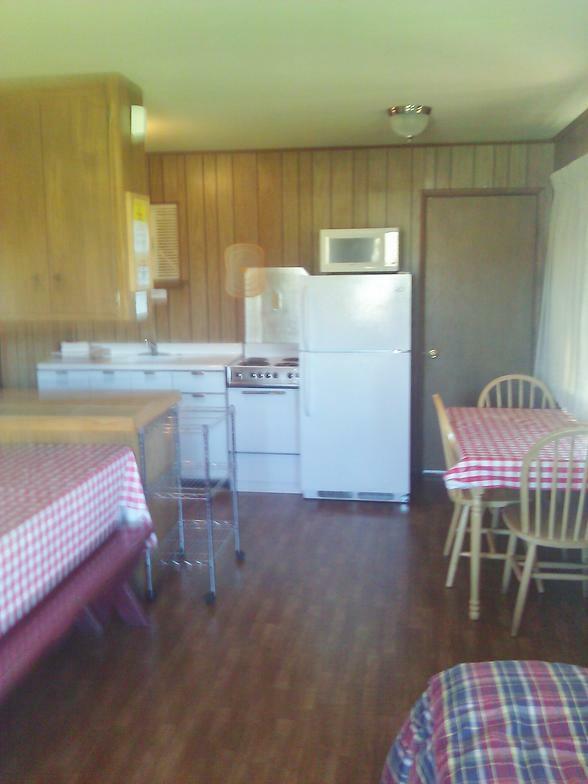 All of the cabins at Hot Creek Ranch are well equipped with everything needed to cook all meals. You will find pots and pans, oven pans, wine and drinking glasses, coffee cups, plates, bowls, silverware and most kitchen utensils. Each kitchen has a refrigerator, oven, stove, microwave, coffee maker and toaster. There is a kettle style bar-b-q in front of every cabin (you will need to bring your own briquettes). There are electric heaters in all cabins as well as electric blankets on the beds. There is a full bathroom and shower in all cabins. 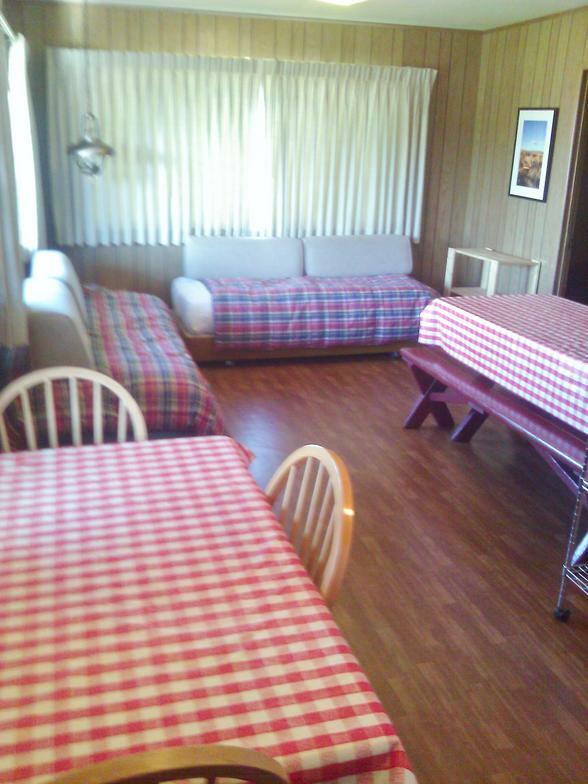 Cabins 1, 2, 3, 4, 5, 6 and 9 all have a queen and a full bed in the bedroom and 2 twin couch/beds in the living area. Cabin 7 has a queen bed in the bedroom and 2 twin couch/beds in the living area. 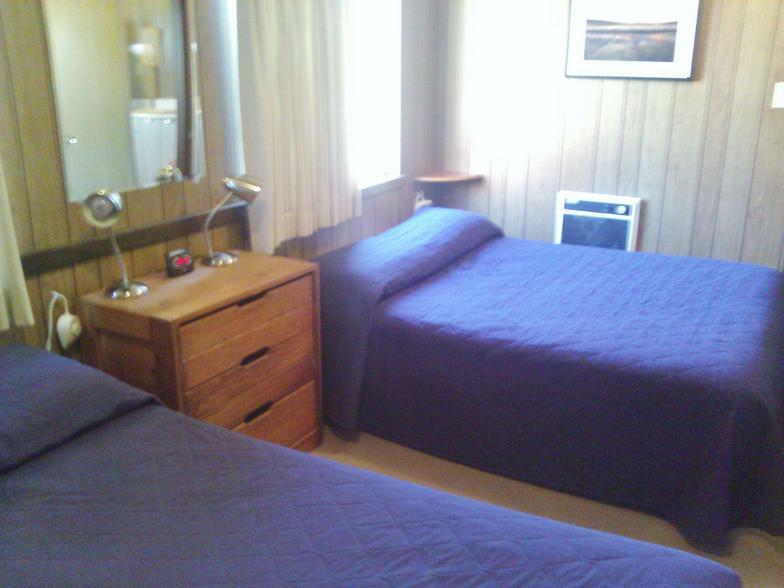 Cabin 8 has a queen and a full bed in the bedroom with 1 twin couch/bed in the living area.